Khaled, what’s the story behind the title of your book? 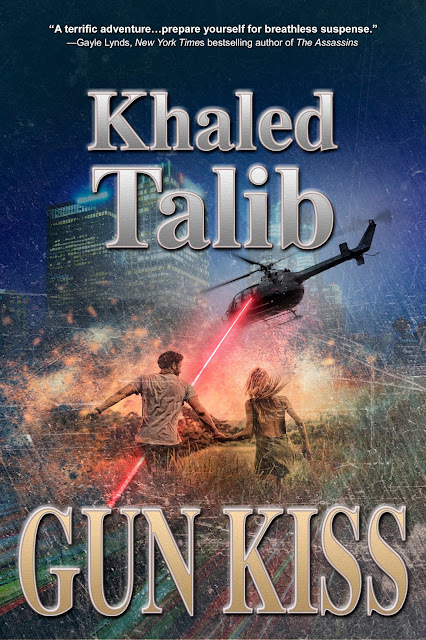 Gun Kiss is a metaphor for finding love during trouble times. It’s a story about a man who rescues a movie star from a drug lord, but as they fall in love with each other, their happiness is interrupted havoc. I live in Singapore. I spent some years working in the Middle East, and I travel a lot. So, I’d like to describe myself as an international citizen, especially since I enjoy other people’s culture and food. I grew up in Singapore. I was born here. However, I feel like a foreigner nowadays. Things have changed. I don’t fit in. Then again, I never did because I’m a minority. Singapore’s culture and values may not necessarily be mine. The amusement park, and having cotton candy. Magical place. A couple of kindle books. Then I’ll save the rest and buy a nice pair of shoes at the end of the month. I like shoes. An old, red Miata that was a guzzler. Never stand at the edge; someone might push you. It happened to me once when I was standing at the edge of a pier. Lesson learned. I rescued a stranger from drowning. It happened in Malaysia. I gave him my life jacket. I didn’t realize how strong the current was until I had removed the life jacket. It took all my strength to swim back to the boat. I answered a call and forgot I was frying some fries. The flame almost hit the ceiling, but thank God it got put out on time. People who talk about stocks and finance, business and computers. People with no sense of humor. A woman in a car at the gas station laughed at me as I stood outside searching my pockets for my cash card. I was so preoccupied in finding it that I forgot it was in my mouth. Deadlines . . . I hate deadlines. I hate to rush. I’ve seen how rushing causes injury to people. People loose control when they are forced to rush. Total chaos. I hate it. Chocolates, a good movie, and traveling. The idea of going on a train journey always sounds nice. Buying a perfectly-sized pants at the mall without having to adjust it. A lonely genius. Best to be heard of than laughed at. "Writers have dual citizenship. They live in the seen and unseen world." It’s taken from The Little Book of Muses, a collection of inspirational sayings for writers. I wrote the book. "Nowadays people know the price of everything and the value of nothing." Oscar Wilde’s The Picture of Dorian Gray. Here’s a guy who knows how to dress up his characters. I don’t pre-plan a story. I might have a character in mind, and as I go along, I’ll develop the plot. Sometimes, I’d make mistake and rewrite the plot. Sometimes it’s easier, sometimes it’s not. Yes, they are, although it’s heavily dipped in a jar of fiction. I collect stories from here and there, then make up my own. I try to imagine the situation, how it would have been and draw my own conclusions. My sense of humor. 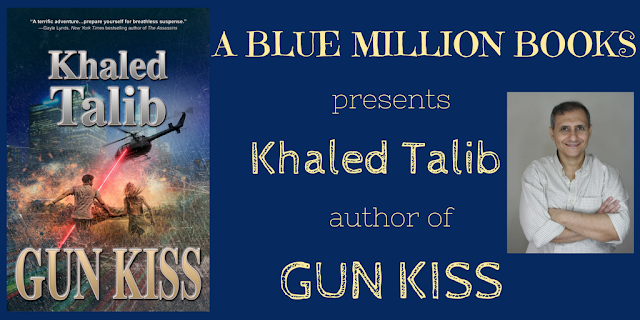 In Gun Kiss, you’ll notice that in the protagonist. One of your characters has just found out you’re about to kill him off. He/she decides to beat you to the punch. How would he kill you? He’ll probably toss me out of the window or poison the box of chocolate. Too many to list down! When my Kindle battery dies. I write whenever I feel like it. It can be anytime of the day. But at times, I’ll need chocolate to boost my energy, in addition to a hot cup of coffee . . . with sugar. At home, in my bedroom. I’m not one of those people who can concentrate at a café with a laptop. Knowing me, I’ll people watch instead of looking at the screen. People repeatedly tell me that my writing feels like a movie. In Gun Kiss, I wrote a military battle scene. It was tough because I had to coordinate everything from various angles while managing characters and dialogue while everything was ricocheting and blowing around them. Someone left a comment on Goodreads and described my novel, Smokescreen, a “B-league thriller.” Then again, there are so many trolls out there. Well, I complained to Goodreads, of course, but at the same time I don’t really care. You find criticisms and trolls everywhere. Other writers get it too. Have faith in your readers. People can see what’s true and what’s not. I’m writing a murder mystery set at a winery in South Australia. I used to handle the public relations account of the South Australian tourism office, so I’m familiar with the State. Khaled Talib is the author of Smokescreen, Incognito, and Gun Kiss. 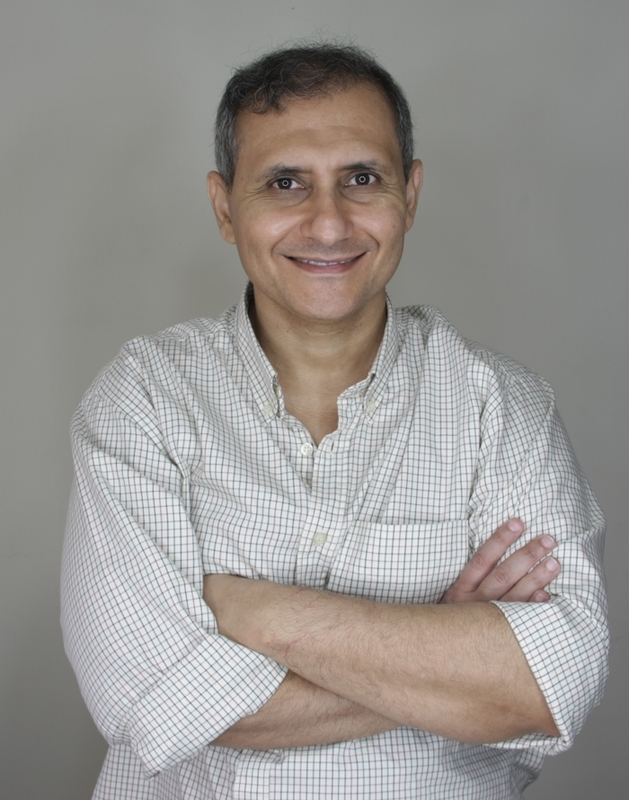 Born and raised in Singapore, Khaled is a former journalist with local and international exposure. His articles have been published and syndicated to newspapers worldwide, and his short stories have appeared in literary journals and magazines. The author is a member of the Crime Writers Association and the International Thriller Writers. Khaled's novel Incognito won the Silver award for the AuthorsDB Book Cover Contest 2017.